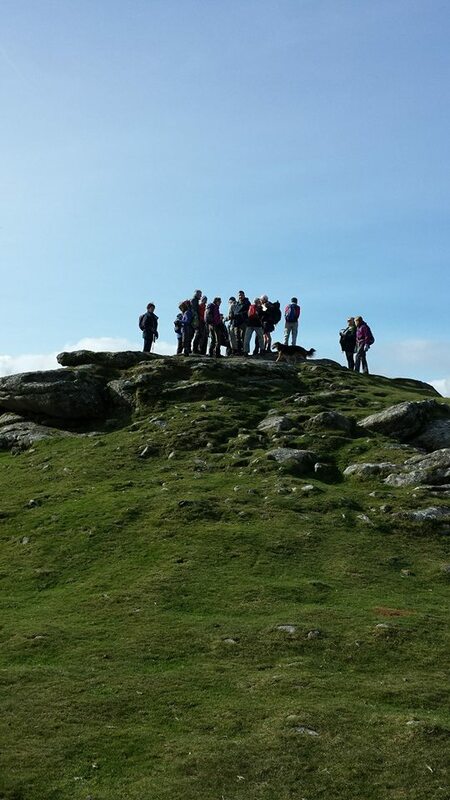 You can be sure of an excellent day's walking in good company, led by one of our knowledgeable, local walk leaders. The walks take place across the wide variety of our beautiful Devon countryside, including Dartmoor, Exmoor, the South Devon coastline and the rolling hills of Mid and East Devon. The Sunday walk is generally from 8 to 14 miles and can be from leisurely to moderate or strenuous. There are other walks on the programme which may be between 4 and 9 miles which are taken at a more leisurely pace. We run a 'taster' policy whereby you can join us for a couple of walks to see whether Exeter and District Ramblers is for you. Need a lift to the start of the walk? Many of our walks are not accessible by public transport. If you need a lift to the start of a walk, please contact the walk leader at least four days in advance. We regret that whilst we will do our best, a lift cannot be guaranteed. When giving people a lift, car drivers are asked to accept a voluntary contribution of £3 towards costs from each passenger. We have a regular weekend away in late October and this is increasing in popularity with visits in recent years to Cornwall, Dorset, Herefordshire, Shropshire, North Devon and the Brecon Beacons. Social events have included a brewery visit and a regular Christmas lunch held in early December. We welcome new members and also visitors to the area and look forward to you joining us on our walks. Join the Ramblers and become a member of Exeter & District Group. IS THERE A FARM IN EACH COMBE?